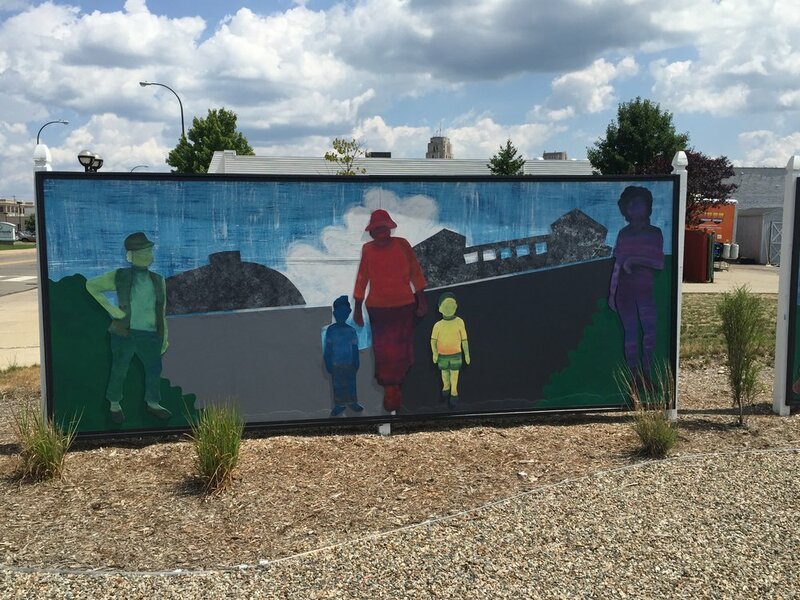 A mural in Battle Creek, MI. In total, more than 850 people took this survey, and we personally interviewed 116 of these participants. Using a unique interviewing approach, Whitney Dow conducted most of these interviews. For these interviewees, we also collected data at three additional time points: surveying them right before and right after their interviews and three to six months after the interview, after they had had a chance to review their interview transcripts and submit photographs. We surveyed participants at multiple times to capture attitudinal changes over time. Thus, by design, survey questions were often repeated across surveys, though additional questions asking about participant social networks and about attitudes towards race and toward the interview experience, among other areas, were also added to later surveys. As you explore our study website, you may want to consider some of the questions we found ourselves returning to over and over again during the project. How do “white people” conceptualize their race and/or ethnicity? What role does race place in the ways white people tell their life stories? What do white people think of the conversation on race in America? Why are some groups of white people more likely to talk to us about race than others? And, importantly, can such candid conversations about race change the way white people think about themselves and the world? Our hope is that you may be able to find some answers to these questions and others in the interview transcripts and data available on this website. As a whole, however, Facing Whiteness is far more interested in asking questions, of both ourselves and others, than in arriving at answers. Our team is listed below in alphabetical order by last name. Any and all communications regarding Facing Whiteness should be directed towards Sam Lutzker (sal2176@columbia.edu). Funding support for Facing Whiteness was provided by the Andrew W. Mellon Foundation and the Chicago Media Project. We greatly thank them for their generosity!